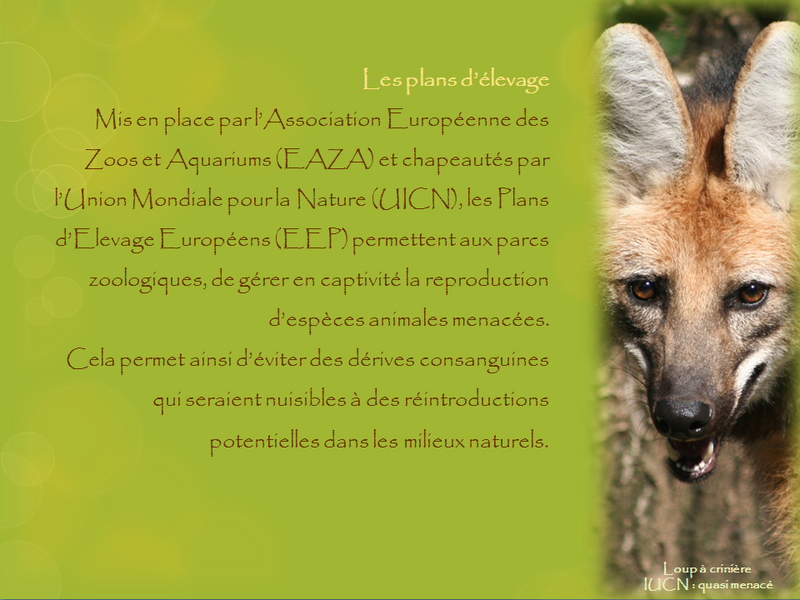 The EAZA in association with the IUCN have put in place European Endangered Species Programs (EEP) for each threatened species, in order to manage the reproduction in captivity, with a final aim of reintroduction to the wild. 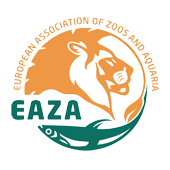 The European Association of Zoos and Aquaria (EAZA) in association with the International Union for Conservation of Nature (IUCN) have put in place European Endangered Species Programs (EEP) for each threatened species, in order to manage the reproduction in captivity, with a final aim of reintroduction to the wild. 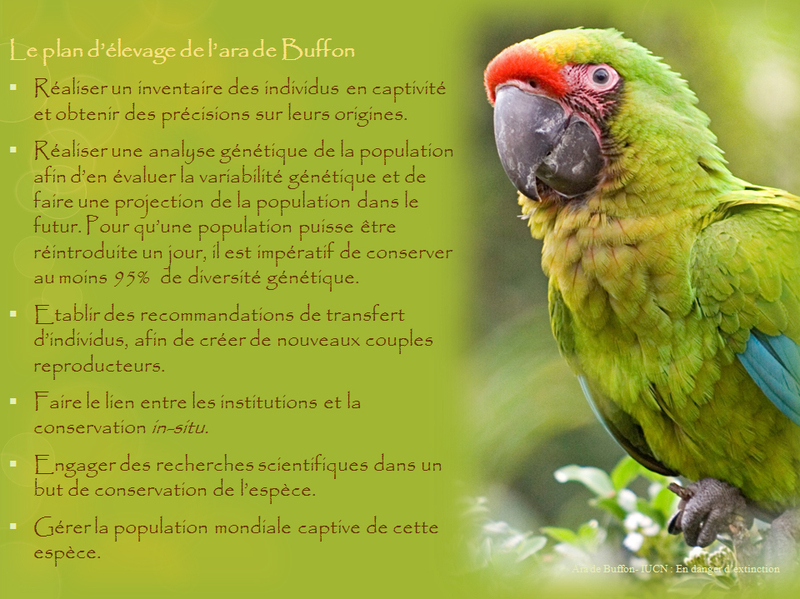 The Zoo of Les Sables d’Olonne is responsible for the International and the European Breeding Program of the Great Green Macaw (Buffon’s Macaw). 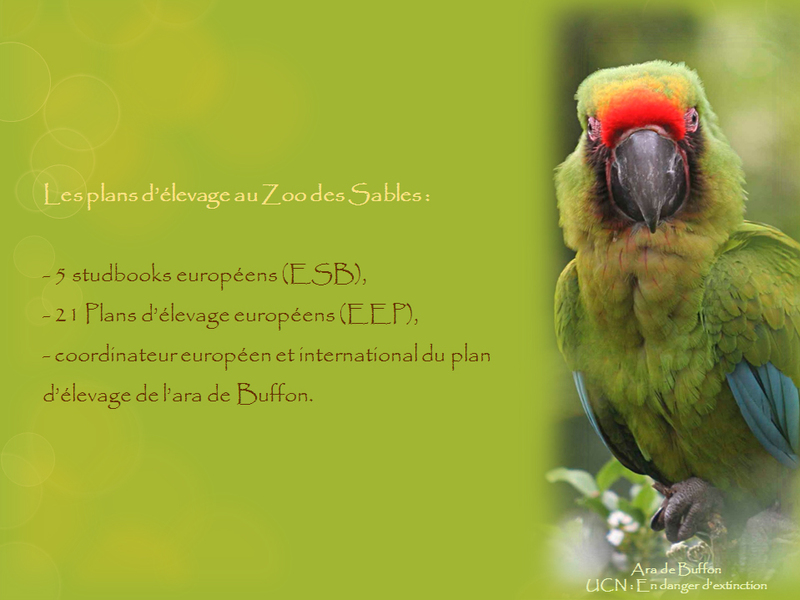 The Zoo of Les Sables d’Olonne takes part in 21 European Breeding Programs (EEP) and 5 ESBs.